Really such a longtime wait? Every other phones that were in MWC would have made half of their sales target by now! And in India there's no word for the release of Xperia 1. Just put it straight away if you don't want us to buy any xperia devices anymore. Have been waiting to update my XZ and you just can't imagine how bad I've been waiting on for this MWC for the realease of new Xperia flagship. We try to support the sinking ship but seems like it's not a good idea!!! 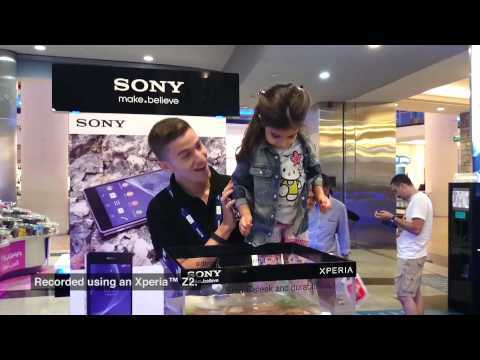 When available sony xperia 1 for sale? Hi @Mohammed4434, welcome to our forum! I moved your post to the availability thread for the Xperia 1! The Xperia 1 will be available in select markets from late Spring 2019 and for availability in your market, please visit your Local Sony Mobile website at www.sonymobile.com/products/phones. Make sure to select your local page by clicking the country selector at the bottom left of the page. ok...lets come back to the main point of the post ie Xperia 1 availability in select markets (UAE in my case). To be honest i dont understand Sony's launch strategies anymore. UAE and the rest of the middle east seem to have been kept in the dark for the past few years. In here, the latest model is the XZ2!! That is laughable since the phone is almost a year old now. The premium version was not released here, which is still understandable as premium models are meant for select markets only. But what about the XZ3? It was never launched here!! And now the 10 and 10 plus...they are not up on the UAE site, when they are already there in the rest of the world. And i assume same will be the case for Xperia 1. I remember seeing this ages ago, Sony Middle East Marketing Team at the Mall of the Emirates, Dubai. Sony just needs more of these marketing to hype market. Why doesn't Sony just tour their MWC 2019 booth around as a marketing strategy and hire local models the same? Especially people who don't keep track of the consumer shows, bring the show to the consumers. Following on from already a few posts asking about the Xperia 1 availability, can I just ask what your thoughts are on waiting for its release vs buying the Huawei P30 Pro that has just been released? I am an absolute Sony fan and have been for over 10 years, but waiting for the Xperia 1 now seems a waste of time, especially when what seems to be a fantastic phone with an even more brilliant camera is already out there (not to mention the Samsung S10+). Is there still no further update, other than late Spring? By then it will quite possible be outclassed by some of the other phones in the market! SONY is taking so long to this sales date that I'm willing to think that its strategy is to release an Xperia 1 "version 2" including much more good surprises. Maybe the problem is again some exclusive Samsung-Qualcomm deal that also happened with the XZ Premium. The flagship Snapdragon CPU was not available for mass production for other manufacturers other than Samsung back then in March-May 2017. Or Sony takes a little while longer to check what issues people come up with to not buy the Xperia 1 (no wireless charging, finger print sensor and power button separated, not enough battery power, etc.) to make the phone truly perfect. Why Sony is taking so much time to make there product available in market after the announcing in feb 2019 where as other companies like huawie announced p30 and p30 pro just now and it will be available in next month. And why its costing more.. This is the right time to keep price range between 700 t0 850$ so that everyone can buy phone and please start advertising on tv and everywhere. Let people know that we are launching the best phone. I recommend my frnd to go with sony phone and they said. Sony already stop selling mobile phone and they though z5 primium is sony last phone in market. Apart from fans hardly people knows there is brand called sony for best mobile. Late spring, the ultimate day will be 20 June. This waiting is ONE way to achieve exclusivity for the Xperia ONE. Building an atmosphere of expectations. Expectations about the screen, the camera. Expectations that will be met by the quality achieved. I trust the Xperia ONE will be the ONE worth waiting for. Let the engineers and software developers take their time to introduce an excellent machine in the market. I hope this will be the way up again for Xperia. A slick marketing campaign sustained by excellent products.